In which G.M. 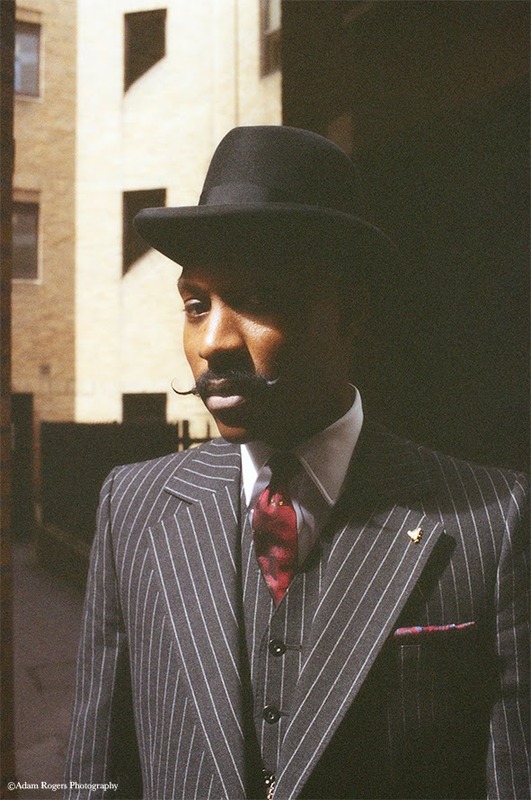 Norton interviews an extraordinary tie-maker and all-round natty dresser. 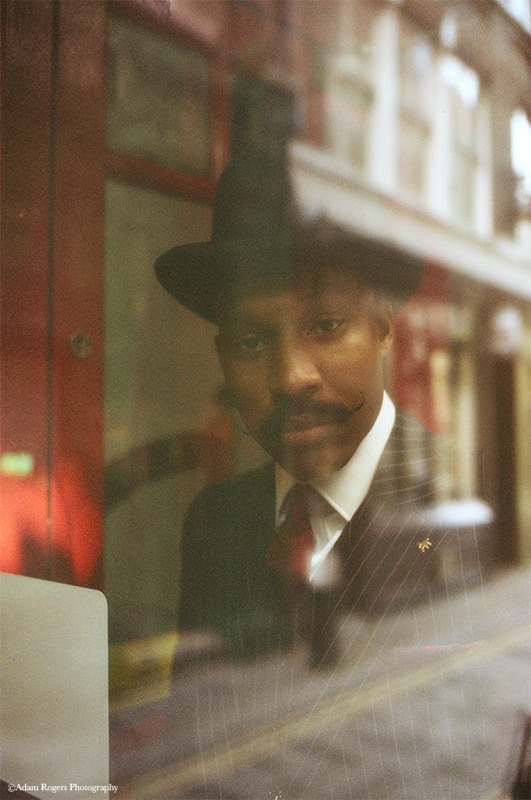 I first came across Shaun Gordon on Mr. B the Gentleman Rhymer’s Twittering page. He had attended the launch for a new tie collection by an immaculately-dressed gentleman described as “not your average tie-maker”. Aware of Mr. B’s commendable taste in neckwear (have you seen the Gentleman Rhymer’s own range of Partridge-esque club ties? ), I was instantly intrigued so proceeded to this tie-maker’s webular site. His name of course, was Mr. Shaun Gordon and as was evident in a matter of milliseconds, he makes exceedingly good ties. Mesmerising ties aside, what struck me about Mr. Gordon was how incredibly dapper he is. What’s more, he makes it seem so effortless. Upon joining Instagram at the beginning of the year, I made the commendable decision to follow this most dashing of dandies. 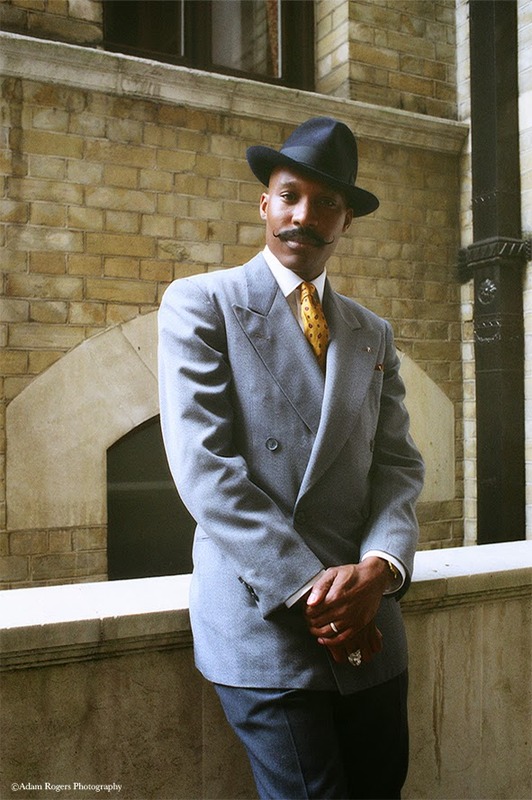 So, when I was considering which sartorially elegant gentleman to feature for the next ‘real-life dandy’ feature, I naturally thought of Shaun. Being the thoroughly decent chap that he is, he agreed to take part and here are the results. One who expresses elegance in the form of their appearance and etiquette. A modern take on the 1940-50s, I am still evolving as we speak. In terms of clothing I like the ‘roaring twenties’ because of the way the adventurous colour combinations are worn together. However, I struggle to find anything that fits because I am too tall. That’s a tough question. 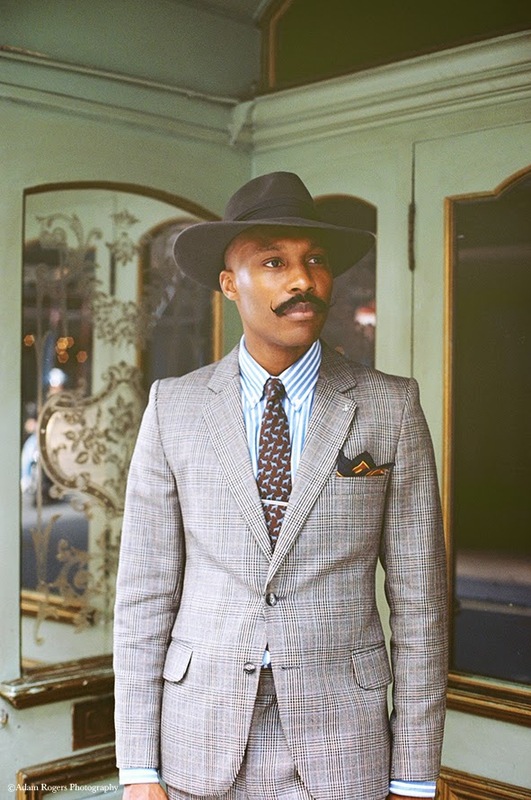 Hats, ties and shoes because these three items are impactful focal points where you can shift your overall appearance. Apologies sir, I could not pick only one. Approximately two and half to three years. It was a slow and beautiful process. I tend to at home or on holiday. But as the days go by it is becoming more classic and considered. On weekends I iron all my shirts for the week and pre-select a tie for each shirt but it’s not 'set in stone,’ as I generally let my mood dictate which items I will wear overall. Even the weather makes me change my mind sometimes. 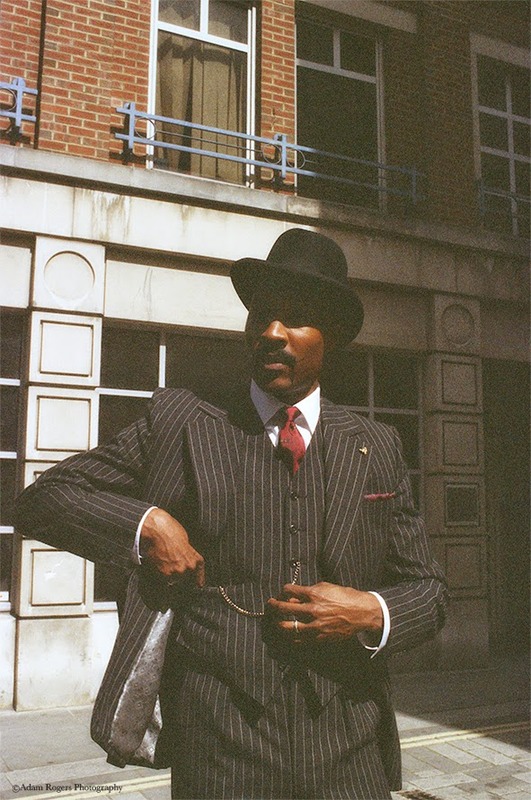 I get my vintage clothes from various places such as Portobello Market, Spitalfield Market and sometimes I am lucky when I visit local charity shops from time to time. 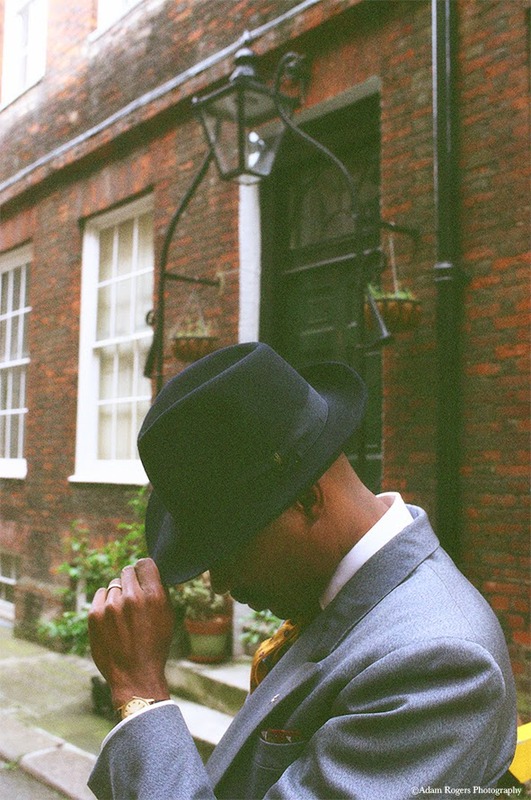 However I do combine it with modern clothing such as Ozwald Boateng, Richard James, Turnbull and Asser, Paul Smith and Church’s to name a few. Most people are quite polite, some smile and give me a curious look. While others rudely take photos on their phones without my consent but I do not let it get the better of me. “You look very sharp!” - Thank you very much. “You like someone out of the 1950s!” - Thank you very much (I take this a huge compliment as I believe the gentleman of the past dressed impeccable well). “Do you dress like that all the time?” - Yes. “Is that moustache real?” - Yes. “Can I touch your moustache?” - I would prefer it you did not (smile). ''That moustache mate, it’s bit much init!?" - Each man to his own, sir. "Are you comfortable dressed like that?” - Indeed, of course I am. I am finding myself becoming more inspired by old paintings of the early gentlemen by artists like Miroslav Kraljević, which somehow leaves me open to ideas on how I might assemble my attire together. Early adverts and illustrations by René Gruau and J.C Leyendecker are also great inspiration for colours and fit. I love the way these images depict the moment. 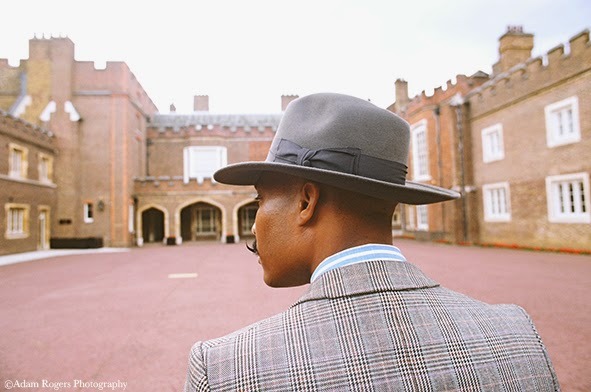 There are lots of different gentlemen or themes that inspire for many different reasons. To get a better idea of what or who inspires me, can also be found on my website. I never wear a matching tie and pocket square; I always unbutton my jacket before sitting down; I believe in the important of removing my hat upon entering a restaurant; I like to leave the last button of my waistcoat unfastened; I never wear braces and a belt together; I always wear a tie clip with a tie and a pocket square with a jacket (never matching, of course); and finally, sock garters are an absolute must. There’s nothing worse than seeing a creased sock or worse still, a hairy calf when seated. 12. 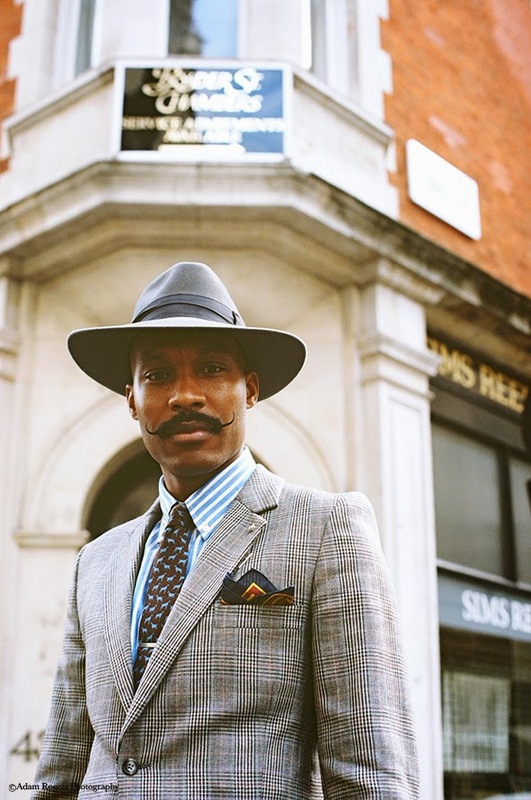 You make rather splendid handmade ties, describing yourself as 'Not your average tie-maker.' What inspired you to start this business? It started off looking for a particular tie and not being able to find it. In my frustration I decided to make my own and bought a few vintage ties to deconstruct and discover how a tie was actually made. I became obsessed as it were, as making a tie was difficult but I kept at it until I got it right. Sooner or later when friends came to visit they saw all my tie trails draped around my mannequin and were interested to buy. But I would not let them take one because I thought it was not made to the highest standard and I wanted to ensure they had the very best. With this is mind, I wanted to be a part of providing men (and women in some cases) ties that makes them feel special because they are handmade using limited runs of fabric. I believe that when you dress your best it affect your mood for the good and that inspires positive actions for the day, whether at work or play. A tie is a great way to express yourself and I am very happy to be able to contribute to men’s wardrobes in this way. My Grandfather also had a strong influence too which is why I dedicated the first tie collection to him. He had the reputation of being impeccably sharp and he always had the opinion that a man should always be well dressed. Therefore I based the first collection on the idea that if Alvin Gordon was still alive and it was his birthday, what gift would I give him? I was aware he would wear the same suit, shirt and shoes but change the ties often. 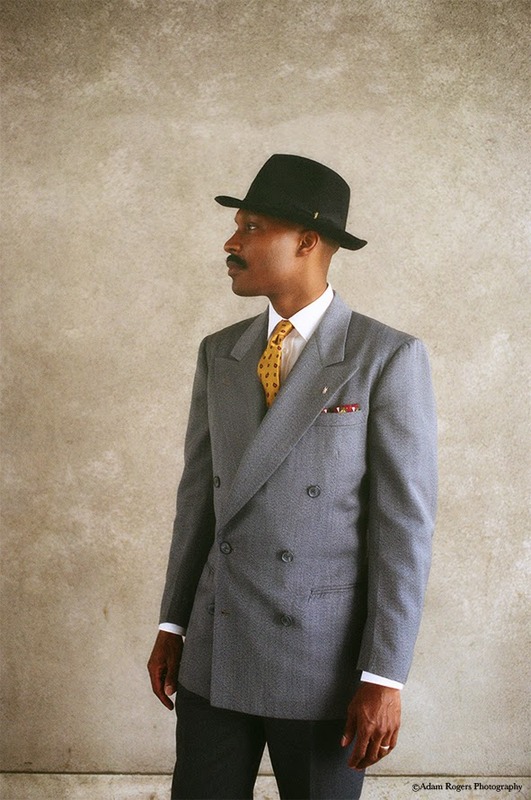 Therefore I built the range around him in a sense that I wanted to offer something different that he may not have had in this wardrobe, such as the Herman Herringbone tie for an example. 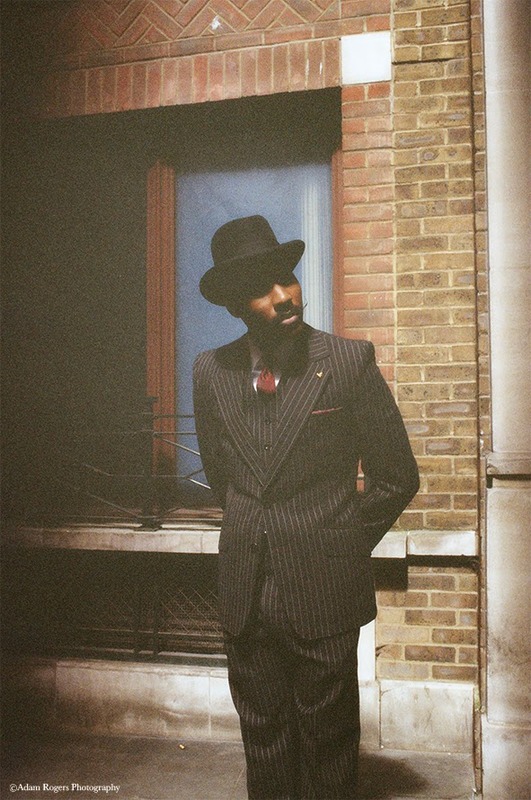 The second collection 'The Frame Of Mind' was about the attitude of always wearing a tie or being well dressed, not just for the office but for a sense of individuality. Therefore I was inspired to create ties as though they were its own entity. I expressed this idea by ensuring that the back of the tie (tipping) was in a contrast pattern or colour to create a difference. I also used slightly thicker interlining so a fuller knot could be made with a ‘four in hand’ knot. 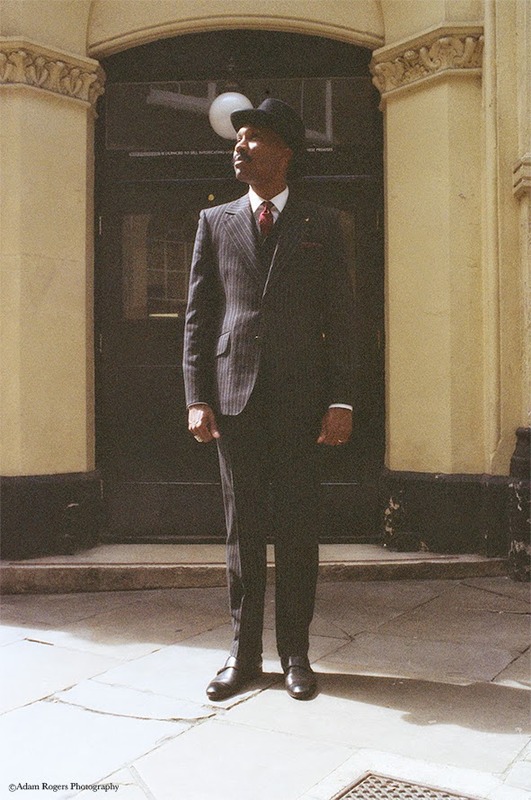 Both collections are available online: www.shaungordon.co.uk and at Steven Hitchcock Tailor shop on Savile Row. 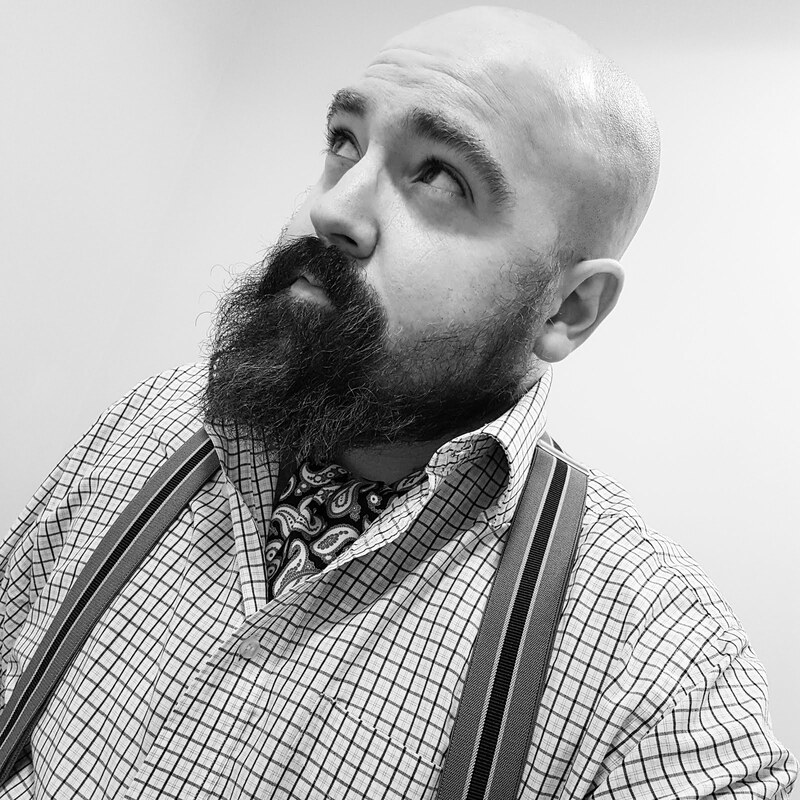 I am currently working on the new ready to wear tie range, which promises to offer bolder colours within the classic scope of patterns. The launch will be taking place at the end of 2014. One who is well mannered and courteous to his fellow men, especially towards the ladies. 14. 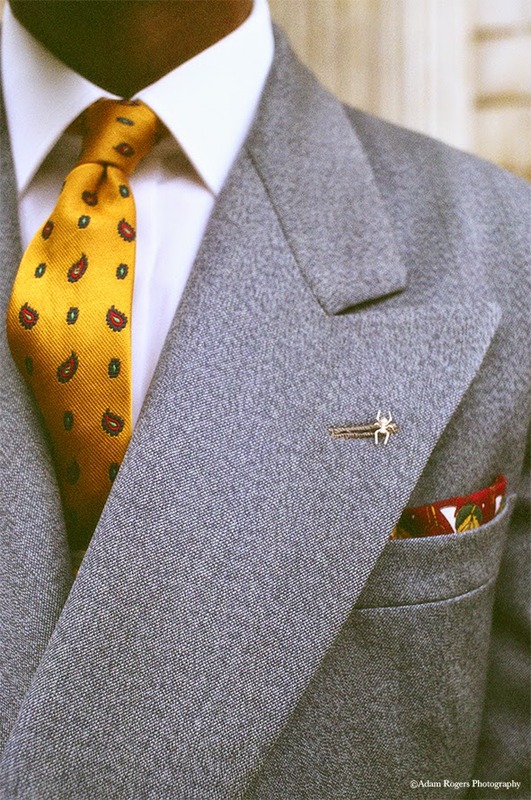 Are there any particular accessories you like to wear, apart from one of your limited edition ties? Yes indeed, other accessories I like to wear are hats, tie clips, lapel pins, cufflinks, a pocket watch (only with a waistcoat) and shoes.